World Sight Day? How about World Sight Week! We celebrated World Sight Day on October 11, but for our hospital partners, one day wasn’t enough! They needed a whole week to celebrate their achievements. They were also celebrating you, because without your generous support, none of this would have been possible! Across India and Nepal, 15 partner hospitals marked their achievements in the elimination of avoidable blindness and raised awareness about eye health. Their biggest accomplishment? 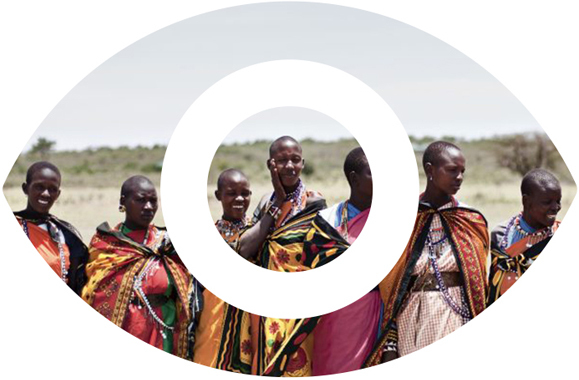 The declaration of a spectacular 281 avoidable blindness-free villages by eight hospitals. Wow! The declaration of an avoidable blindness-free village by C.L. Gupta Eye Institute in Moradabad, India. These ceremonies are attended by government officials, stakeholders, and of course the villagers themselves. Inaugurated four Vision Centres. Two are from Fateh Bal Eye Hospital in Nepal and two from Sewa Sadan Eye Hospital Trust and the Sundarban Social Development Centre, both in India. Three hospitals in India conducted screening programs and dispensed eyeglasses in their project areas. They screen a total of 565 individuals, dispensed 58 pairs of prescription eyeglasses and referred 78 patients for eye surgery. Our partners at Sewa Sadan Eye Hospital Trust and the Vittala International Institute of Ophthalmology held rallies to increase education about eye health, which were well received. 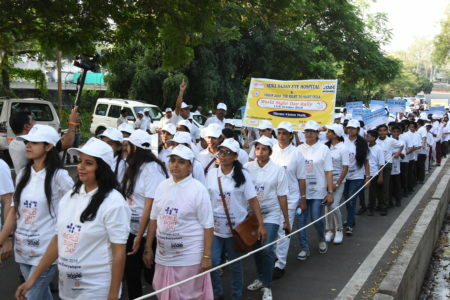 The World Sight Day Rally conducted by Sewa Sadan Eye Hospital Trust in Bhopal, India. The rally helped raise awareness about eye health and was a great time for all who attended! Please take a moment and share in their warm glow of accomplishment. We wish you could have been there, but we’ll have to settle for a great big THANK YOU for making all this work possible.